Information about City Councilor Brad Winter. 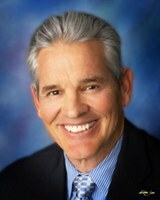 City Councilor Brad Winter represents District 4, Albuquerque's Northeast Heights. Winter is the longest serving City Councilor and was elected in October 1999. Learn more about Councilor Winter. Councilor Winter is committed to improving the lives of District 4 residents and the City as a whole. Need more help? Didn't get a response? Contact us right away and we'll help. Send us an online request or call my policy analyst at (505)768-3101. 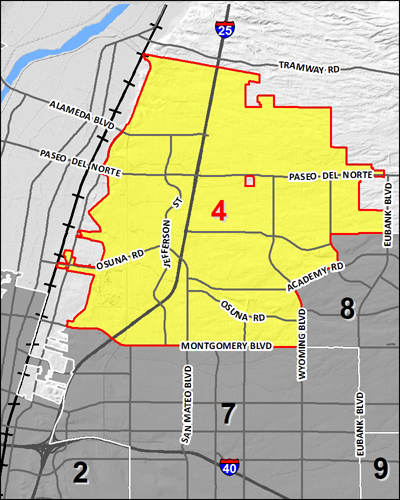 District 4 is located on Albuquerque's northeast side. Find another City Council district.